The Tsavo Buffalo Camp is situated on the edge of the Tsavo East National Park, the largest park in Kenya and one of the most extensive in the world. Tsavo Buffalo Camp faces directly onto the banks of the River Galana and offer guests the opportunity of a holiday which reflects the pace of life on the Savanna, an existence in close contact with the wild animals. 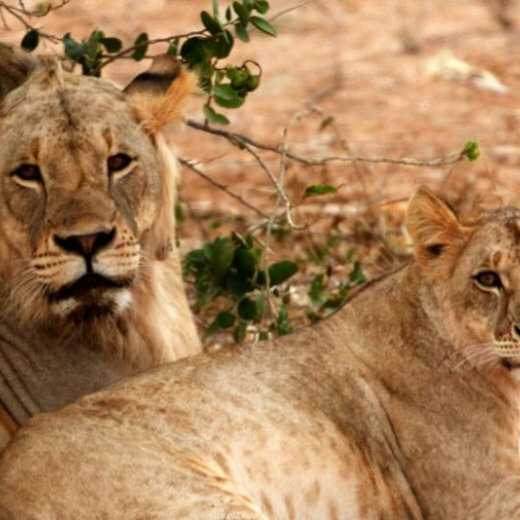 The wake-up call is at dawn, then breakfast and immediate departure for the first safari to watch the big cats. In the early morning, these animals return to their base from hunting and are easily detected by Man. Return to the camp, lunch and a ‘walking safari’ in the Savanna accompanied by a Masai warrior who will indicate the footprints and the tracks of the animals which recently passed through the area; also an emotional face to face with the crocodiles and the hippos lying on the banks of the river, just a few meters from the bungalows. Later in the afternoon, another safari trip, this time by jeep on a Land Cruiser, with a return at sunset. Guests will then enjoy an aperitif around the Masai bonfire and have the opportunity to chat about the thrills of their day, a delicious dinner under the starry sky follows and for those who wish to continue the adventure, a nighttime safari can be arranged. Tsavo Buffalo Camp has ten bungalows, furnished in a simple and highly-functional style, they are arranged around the huge bonfire at the center and each bungalow has a bed complete with mosquito net and a private bathroom. 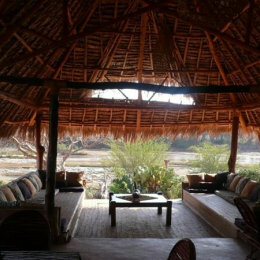 The lodge has an informal restaurant, a bar and a relaxation zone where guests can languish and observe the animals that come to the river to drink.